SINGAPORE – Paya Lebar Quarter by Lendlease, a $3.2 billion mixed-use development, is the first in Singapore to achieve a Platinum rating under the Building and Construction Authority’s (BCA) latest version of its Green Mark scheme for new non-residential buildings, Green Mark for Non-Residential Buildings NRB: 2015 (GM NRB: 2015). GM 2015 addresses sustainability in a balanced and holistic manner which rewards overall performance of buildings that are climate responsive, energy effective, resource efficient, smarter and have healthier indoor environments.1 The assessment criteria also reflects a strong recognition of sustainable design features that boost the health and wellbeing of building occupants. With the implementation of high efficiency water fittings along with monitoring and leak detection systems, the development expects to save over 40 per cent of water annually during operations. The development will also achieve over 30 per cent in energy savings, in comparison to a reference building designed for code compliance. The energy savings stem from a variety of design solutions, from high performance facades to the use of Light Emitting Diodes (LED) and more efficient air-conditioning systems. 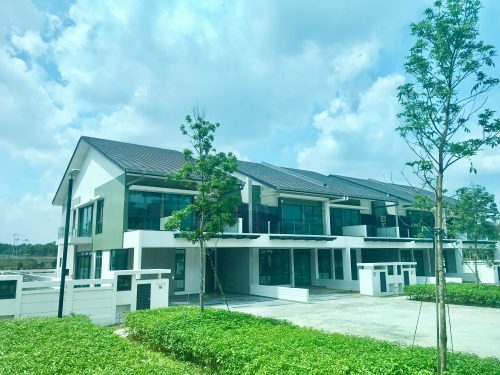 The project’s focus on health and wellbeing on top of energy efficiency is also evident from other progressive initiatives throughout Paya Lebar Quarter. The lush landscaping resulted in a precinct wide Green Plot Ratio of 6.93 and the precinct wide tree-positive strategy means there will be three times more trees as compared to the original site. Paya Lebar Quarter will also introduce some of the best active mobility provisions in Singapore, including end-of-trip facilities for office and retail tenants, ample bicycle parking spaces, and almost one kilometer of dedicated mobility routes seamlessly connected to the wider Park Connector Network. Paya Lebar Quarter will be a centrally located mixed use development and a key catalyst to URA’s masterplan to transform Paya Lebar into a regional business hub set in the heart of historical cultural districts. 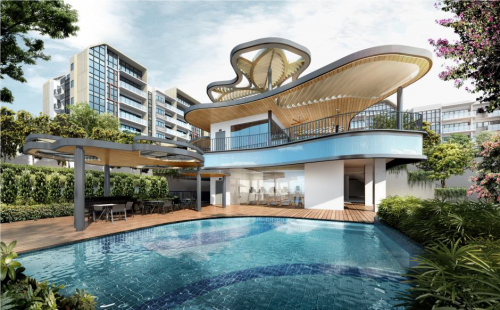 Directly connected to the dual MRT lines at Paya Lebar, the centrally located Paya Lebar Quarter is just 10 minutes away from the CBD, offering unprecedented convenience and connectivity. The 4-hectare mixed-use development will comprise close to one million square feet of next generation work spaces in three grade A towers, a standalone shopping mall with a total retail area of 340,000 square feet with over 200 shops. There will be a great range of indoor and experiential alfresco dining set in generous green public spaces of over 100,000 square feet. The 429-unit residential development sits on an exclusive plot with convenient covered access to shopping and lifestyle amenities, delivering the best of city life. 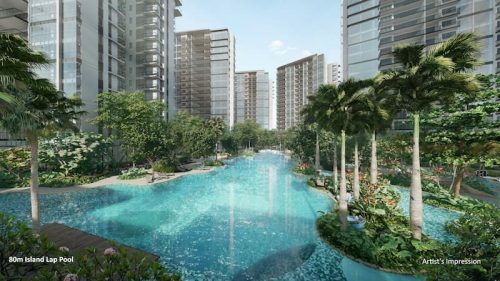 Paya Lebar Quarter is a project by Lendlease, an international company with a strong track record in urban regeneration projects around the world. 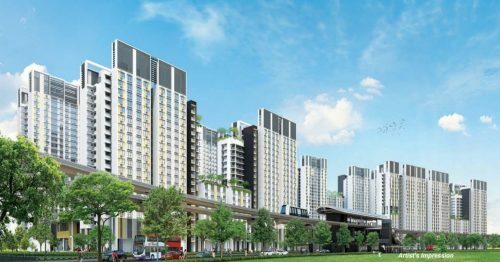 In line with its vision of creating the best places, Lendlease will bring world class place making design in city living to Paya Lebar Quarter. For more information, visuals and a preview of how Paya Lebar Quarter will lead the transformation of Paya Lebar into a dynamic business and lifestyle hub, please visit www.payalebarquarter.com. Lendlease is a leading international property and infrastructure group. We are listed on the Australian Securities Exchange with 12,000 employees worldwide. Our capabilities span the entire property spectrum – development; investment management; project management & construction and asset & property management – and our expertise covers multiple sectors including commercial, life sciences, residential, retail, hospitality and education. Lendlease’s vision of creating the best places – places that meet the varied, nuanced and personal needs of the people who live and work there – is achieved by curating an indelible connection between people and places. We create innovative, sustainable and quality property solutions, forging partnerships and delivering value to clients, investors and communities. Through design and investment in new technologies, we are delivering the next generation of sustainable property solutions. Safety is our number one priority and we are committed to operating Incident & Injury Free. For more information about Lendlease, please visit www.lendlease.com. We are known as 联实 in Chinese.